I’m not a big fan of cheesy popcorn but my family is. I made this for them and they loved it! Thanks for the recipe! Nutritional Yeast is great. Gentle Chef has a recipe here http://thegentlechef.com/blog/?p=1779 for a cheesy sprinkle that you can use on popcorn or potato chips. 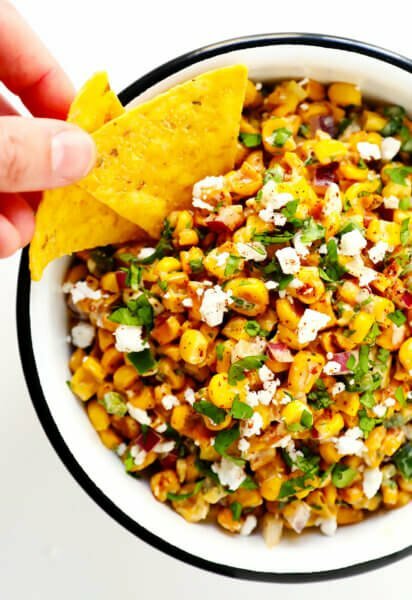 The secret is that there must be some moisture on the chips or popcorn for the sprinkle to stick. All Vegan of course. Made this today added a little cayenne pepper my husband loved it. 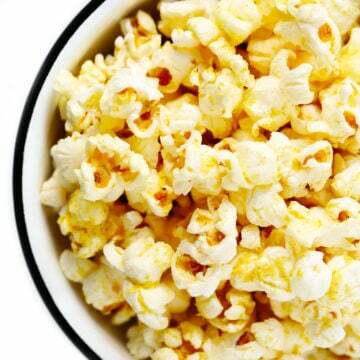 I love nutritional yeast on my popcorn. Ac8i love it on alot of things. Including avacado toast and roasted cauliflower….um yum! I tried your tubberwear trick and it made a significant difference. Now I don’t have to add all that extra oil to my puffy corn! Even my boyfriend, who has been know to use half a sick of butter and a generous amount of parmigiano, ate an entire batch of this! Oh and I’m totally calling it “nooch” from now on! Perfect recipe, thank you. 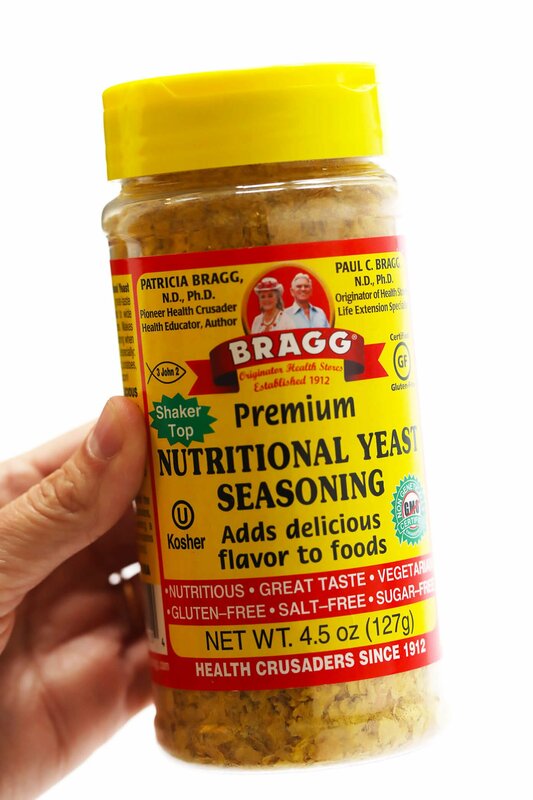 I love incorporating nutritional yeast into my recipes. 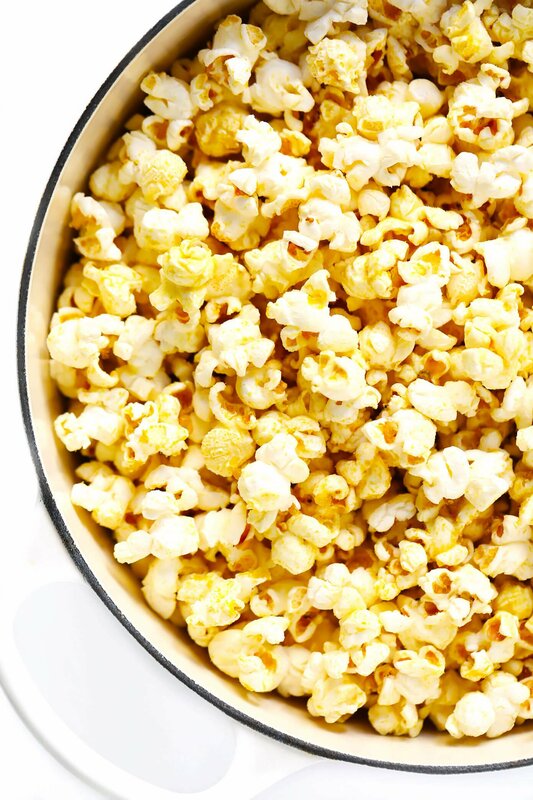 I bought an old fashioned popcorn popper that I love and it’s so easy to use. Wabash valley. If interested I make Parmesan like topping for my salads. A recipe from everyday detox cookbook. 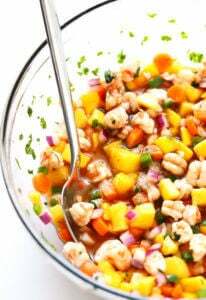 1 cup finely chopped walnuts, 3 tbsp. nutritional yeast and 1/4 teaspoon himalyan salt. So good and so easy. Thanks again! Can’t wait to have this delicious and heksthy popcorn again! Thanks for sharing with us Gia — we’re happy you’re a fan! 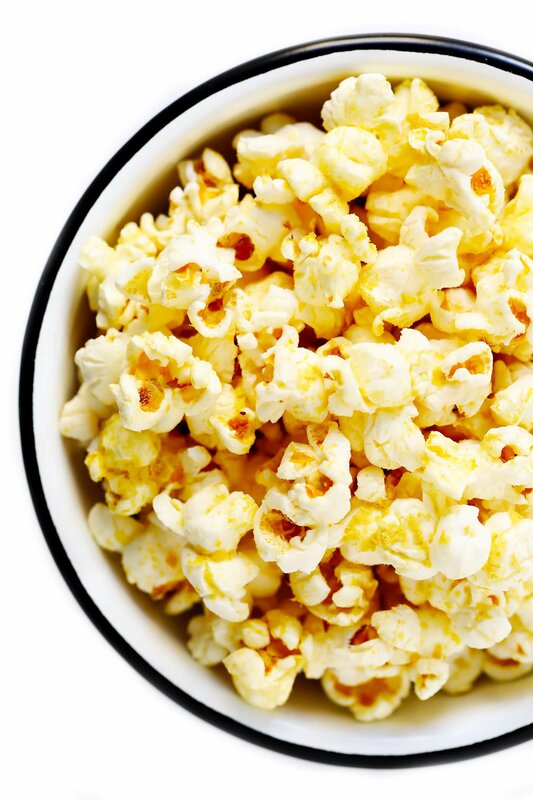 Popcorn is my absolute favorite nighttime snack, and now here’s an idea to make it healthier? Yes, please, just have to find some nooch! ? I’ve been putting nutritional yeast (I wish they would come up with a more catchy name) on my popcorn for years not knowing that anyone else did it! It makes my popcorn like crack, and my dairy-eating friends are amazed by it too until they ask what the seasoning is and they get a little freaked out. Can nooch be used on air popped popcorn? We think that should work fine — we hope you enjoy the recipe! The suggestion to run the yeast and salt in a blender before adding it to the popcorn is on the right track. Smaller particle size works better when electrostatic attraction is the principle adhesion mechanism. If you have a mortar and pestle, hand grinding the salt (which acts as an abrasive to break down the yeast) with the yeast will produce even smaller particles than using a blender, but it is a fair amount of manual labor. Adding some cayenne sounds like a nice addition too. Interesting, I’ll have to try the blender tip! Pingback: Too Cold To Leave The House? 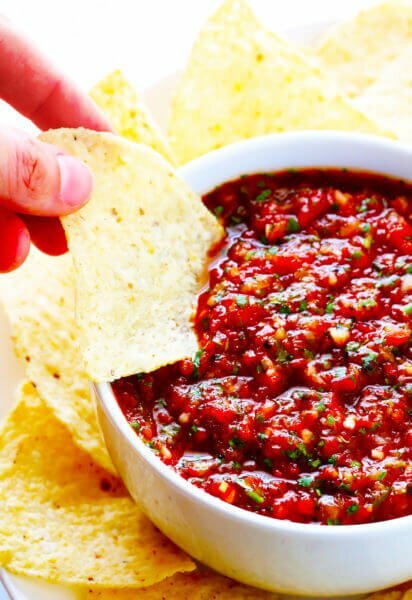 9 Party Appetizers That Use What You Already Have In The Pantry | Your News On Time! 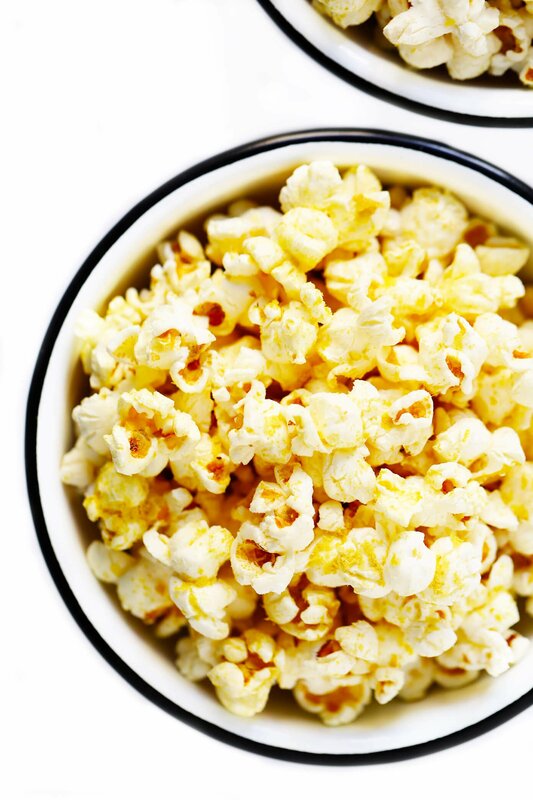 love the recipe the popcorn sounds so awsome! iam going to try it pretty soon i was wondering if you mind telling me what camera did you use for your pictures they look great! the picture is so clear! Yummy stuff! Been making this for years w/either coconut oil (stove top) or pour locally made EVOO on corn popped from my air popper…Also only use Organic popcorn. Happy, Healthy snacking! Long -time follower. First time noocher. Pretty darn good. I do miss the occasional butter- soaked soggy kernel. Pondering how I can achieve this with the nooch. Thanks for the post! Ohhhh I’m so happy to see this out there in the world! I learned this “secret recipe” from a girlfriend years ago, and I’ve called it “crack” ever since. We add Spike seasoning as well and usually use grapeseed oil versus coconut oil. So simple, and so, so delicious. Thanks for all your great recipes and ideas – you truly are the food blogger that I trust the most :)! Whenever I’m browsing recipes and realize one is a Gimmie Some Oven goodie, I know it’s going to be a winner. So thank you for that :)!! Cheers! Will this work with an air popper? So excited getting ready to try this now! I am so glad I happened upon this 2 days ago. 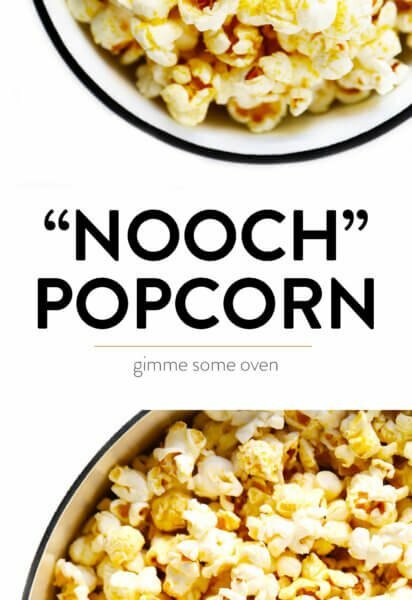 I made popcorn last night and used “nooch” and I have to agree, I sincerely enjoyed the taste without the butter. So much that this will be my “go to” seasoning on popcorn in the place of the butter. I had to laugh at the fact the the bottle clearly states it is good on popcorn and I never thought to do so until I read your blog. Thanks for posting this on your site some time ago for the late comers like myself to enjoy. I look forward to trying some of your recipes. 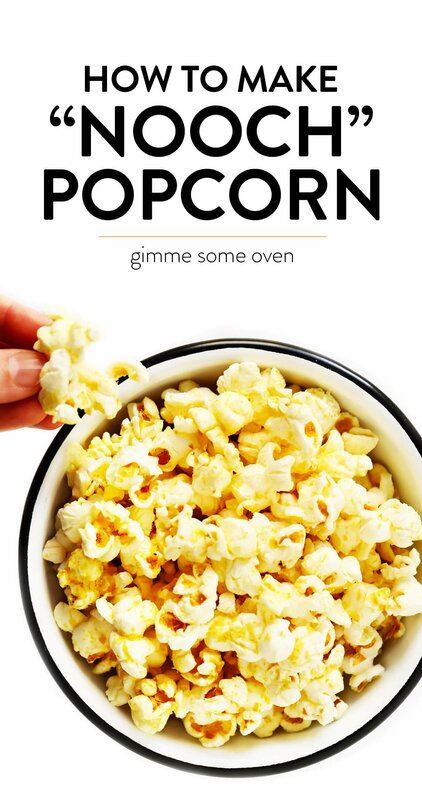 Will this work with air popped popcorn? I cam’t believe that in my three years of being vegan, I still haven’t tried nutritional yeast! I hear people talk about it all the time, so I might just have to try this recipe! I make popcorn in an air popper. Will this work or does it need the oil to stick to the popcorn. Unfortunately, I’ve found that oil is essential to helping the nooch stick to the popcorn. Oh I’ve been making this for years. Except I melt a bit of butter in the corn pan after dumping the popped corn into the big bowl. Then I drizzle the butter and then sprinkle the salt and Nooch. My husband (ever wary of healthy things), actually asks for nooch popcorn now. We love it.